Run. Write. Mom. 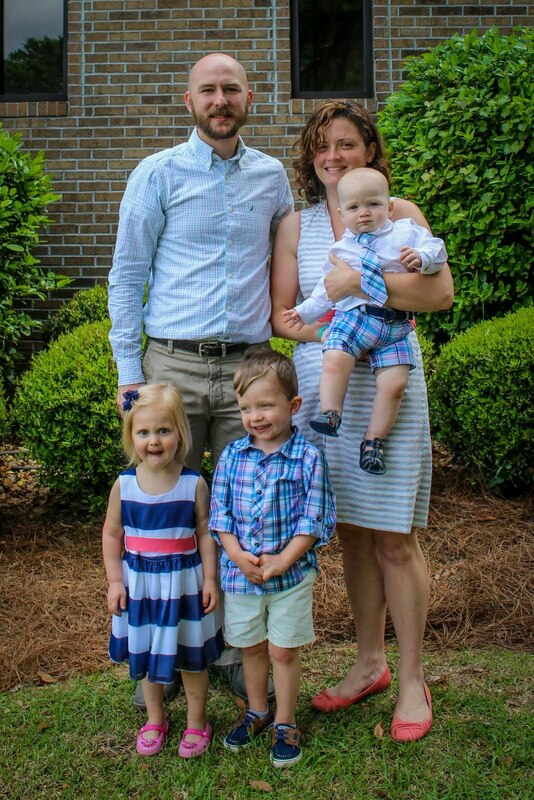 : Marathon Training Update! Currently, I have about 6 weeks to go before my first marathon. Training has been going pretty well so far, though I think I have hit a bit of burnout. I think I could also attribute that feeling to my depression, so maybe it's not really burnout. I was short of my weekly mileage goal this past week, I've been a little short a couple times before, but not this much. I actually missed two runs this past week and didn't make them up. I missed my mid-distance (8 miles) pace run, and an easy 5-miler. I hate that I missed it, but I know it won't really set me back at all. I just can't let that happen again this week. Saturday, I was glad to have a good plan for my long run. Some ladies from my local MRTT group that I meet with on Tuesdays and Thursdays were meeting at the same spot for a long run Saturday. The ones going the longest were planning on 12 and I needed 13. Since the route cuts close to my house, I don't always like driving somewhere then running so close to home and then driving back, so I decided I would just leave from my house and run toward them. I left a few minutes shy of the time they were meeting so I have gone just a bit farther then they had by the time we ran into each other. A couple of ladies turned around soon after I joined because they don't like me. Just kidding, they were doing shorter distances. I know, I'm hilarious. My 12-miler friends had decided to do 10 instead, but it still worked out well for me. I was able to split off from them when they were almost done and reached my 13 mile mark right as I turned onto my street. I'm glad I met up with them because I was really tempted to call it quits when we went by my the road to my house and if I was alone I probably would have. This was a super cold run, in the 30s the whole time (remember, I live in Florida). I was pretty pleased with my clothing choices: Nike tights, long sleeve Saucony Hyrdalite top, Nike half-zip, gloves, ear-warmer/headband. 90% of my body was comfortable for most of the run, my hands being the other 10%. This, of course, is the time of year when us north Florida runners wish we had more cold weather gear. Then, if we buy some, we wear it once before we're back to shorts and tanks for another 11 months. So, right now I'm wishing I had warmer gloves, another pair of tights (I only have the one pair), and more than one ear-warmer. I occasionally think I'd like to hair a balacava, but how often would I wear that? If I did, it would probably only be the first 5 minutes before I got too warm under it. Anyway, let's get back to the training update. It's weird to think I've been on a training plan since October? Forever? Honestly, I feel like I could complete a marathon this week. It wouldn't be pretty, but I could get it done. The longest run I've completed so far is 19 miles, what's 7.2 more, right? Ha! But really, I feel like I could get it done. This coming Saturday, I'm planning to do 22. "You're going to do more than 20 before your marathon?" you're thinking. I know, most marathon training plans have 20 miles as the peak. I am not comfortable with that. I like having the confidence and knowing that I can do it because I've come so close to the distance already. I did this with my first half as well, I had one 13 mile run on the books before my 13.1. The plan I used at that time, I followed pretty much to a t. This time, I had to adapt the plan I chose. So, when the plan called for 18 the week after doing 17, I did 19 instead. Following that, 19 got changed to 21-22, and 20 to 23-24. Those distances make me feel a lot better about being able to do 26.2 while avoiding the dreaded 20 mile bonk. My nutrition and hydration has been going pretty well too. I take water on my long and mid distance runs, then drink water with a Nuun tablet afterwards. Actually, I do the Nuun after most runs since I'm a heavy and salty sweater. 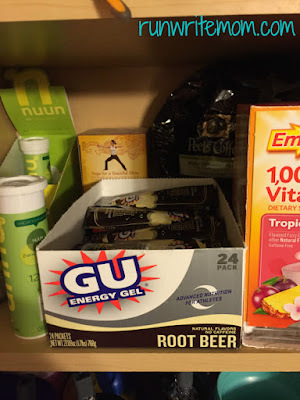 On long runs I take in a gel (I like GU brand, strawberry banana, root beer, and big apple) every 4 miles. 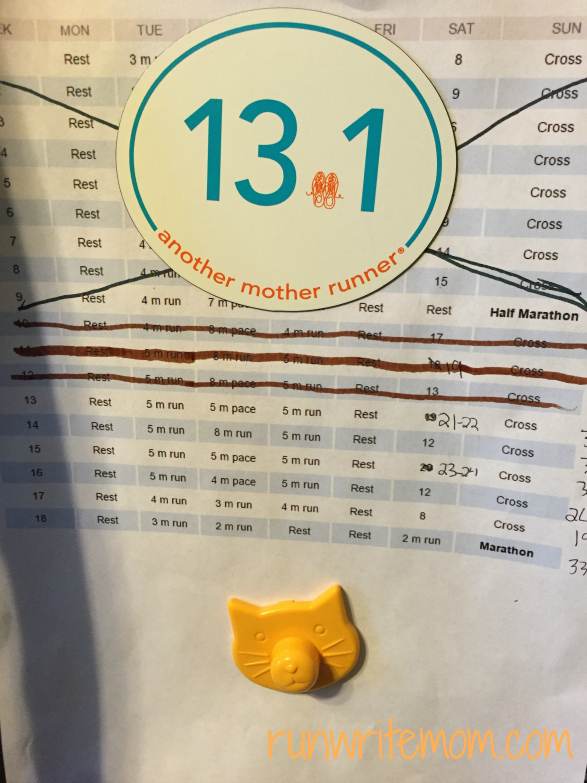 When I run 13 miles though, I don't necessarily take a gel at mile 12, since I only have a mile left to go. It just depends on how I'm feeling at the time. I've tried different products and different timing plans and this seems to work the best for me. I'm going to get some GU Roctane to rotate with the regular GU on my next long run and see how that goes. My nutrition other than during a run needs some improvement. On the injury/soreness front I've been doing pretty good. Though I do just want to lay down for the rest of the day after my long runs, the soreness isn't bad. I know that if I were more adamant about stretching and rolling it would be even less of an issue. My knees have been bothering me a bit though, but it's nothing I can't deal with. I've been icing them after runs and randomly throughout the day. I'm afraid some new shoes I've been trying might be exacerbating the issue. I just need it to not get any worse from here on out. Any goal races coming up?